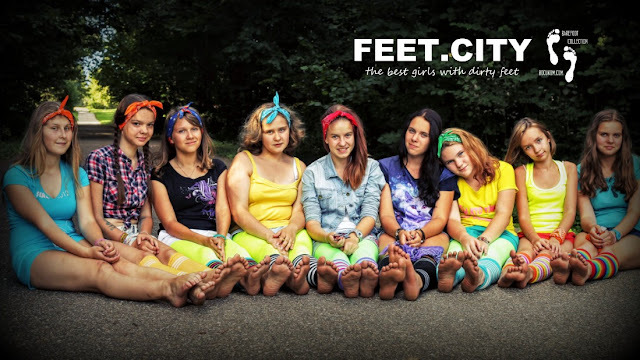 Young girls in the street barefoot train their feet. Young girls like to walk barefoot everywhere. Soon they will be trained to walk barefoot on the Russian snow!